Show Us Your PC Contest: Honorable Mentions! Two weeks ago, we announced a contest in which readers could submit photos of their PCs and the stories behind building them, the Show Us Your PC contest. We offered Amazon gift cards to the top 3. But now the contest entry period is over! And we have winners! 3 of them! But we’ll get to those winners later. First, we have some Honorable Mentions. While they didn’t make the top 3, these two submissions won our hearts in other ways. As a consolation prize, both submitters won a Steam game of their choice. 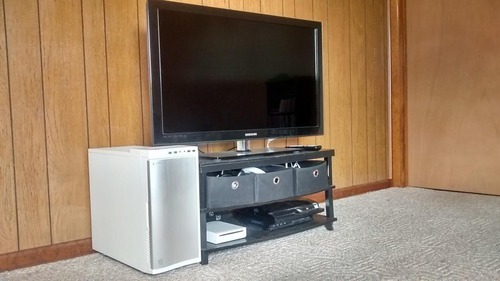 Look at Andrew’s tower, nestled right next to his TV and consoles. 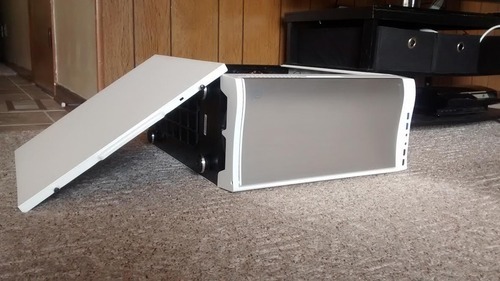 Looks like a pretty nice case. Not the laptop-in-a-tower trick again! 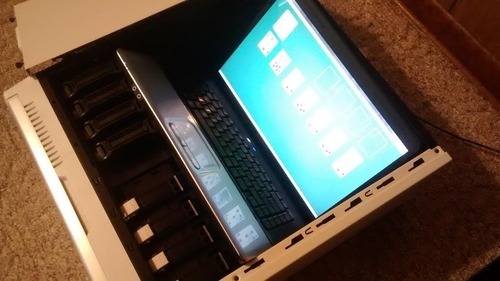 This thing probably doesn’t even get 60 FPS running Solitaire. As Andrew explained, he’s waiting until Black Friday to compile a new build. For now, he just has the case, which he got for 70% off. “I used your site to plan my overall build and I love the community here, so I wanted to give you guys a good time with this contest,” he said. Mission accomplished, Andrew. Now just get some real components in that case! 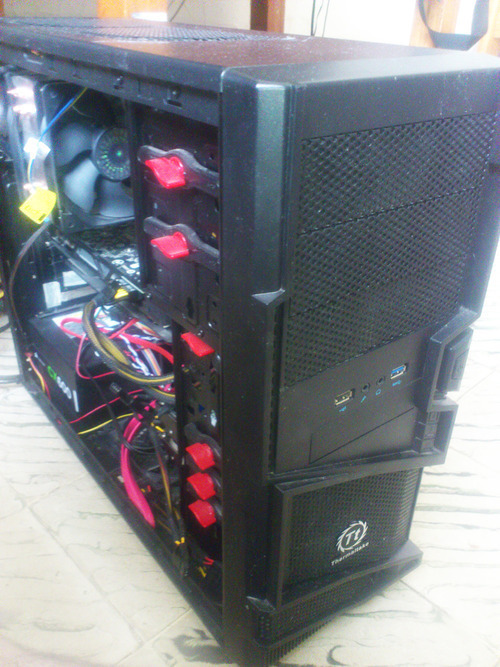 Getting a powerful PC in South America without annihilating your wallet is no easy feat. Alexander needed a good rig to do graphic design work, but the PC retailers in his area weren’t always trustworthy and didn’t always charge fair prices. “If you think buying a brand new prebuilt PC in the states is an economically unsound move, bro, you have not seen the true face of the beast,” he told us. 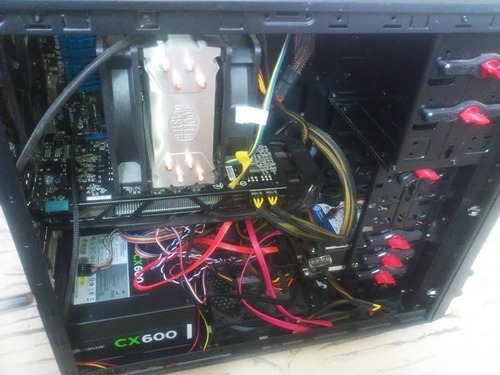 He paid an astronomical amount for a miserable pre-built PC back in 2009. When it was time to upgrade, he didn’t want to get gouged again. That’s when he found the old Falcon Guide on /g/, the original version of what is now the Logical Increments guide. Could building his own PC be the answer to his woes? “After carefully examination of the guide, following it’s development through many updates, and asking here and there (mostly at /g/ and the always helpful forums at Tom’s Hardware), I decided that it was indeed time to take the fire from the gods,” Alexander said. He saved up his cash for over a year. By that time, the Falcon Guide had become Logical Increments, and he based his build off the recommendations. Since then, he’s replaced the 7770 with a Gigabyte R7 270X and added a 500 GB hard drive. “The PC is a colossal improvement over my old rig, and once I made the calculations of how much everything cost, I would have ended paying 600% more (no, this is not hyperbole) if I hadn’t done it myself,” he said. It handles everything smoothly and runs games like a dream. Alexander said his only regret is not ponying up the extra cash for a modular power supply, as he’s not too happy with his spaghetti cables. Nothing that a little pasta sauce can’t fix. Alexander, we loved the story and can’t wait to see what you pull off with your next build! Check back here tomorrow as we reveal our 3rd place winner.